Visual art is commonly considered a vehicle to express emotion, state an opinion, and provide an opportunity to reflect on the world we live in. When combined with the Ethnic Studies frameworks of critical reflection and analysis, art becomes a tool to challenge dominant narratives that marginalize and negate non-dominant identities. In a unit entitled “Art in the News” students from Miramar’s Art 1 class produced original multi-media pieces that answered the following essential question: How can we use art as a tool to present an opinion about a current event that educates, advocates, agitates, organizes, or archives people around us? Students took up the call of engagement by providing opinions, reflections and counter narratives on topics such as sexual assault, racism, immigration, poverty, and global warming. Although it is unfortunate that students have such an immense list of issues and topics that negatively impact their lives, it is necessary that we as educators gives students space to develop, examine and write their own narratives and reflections. In this act of naming, students position themselves as agents to inform and transform the world around them. 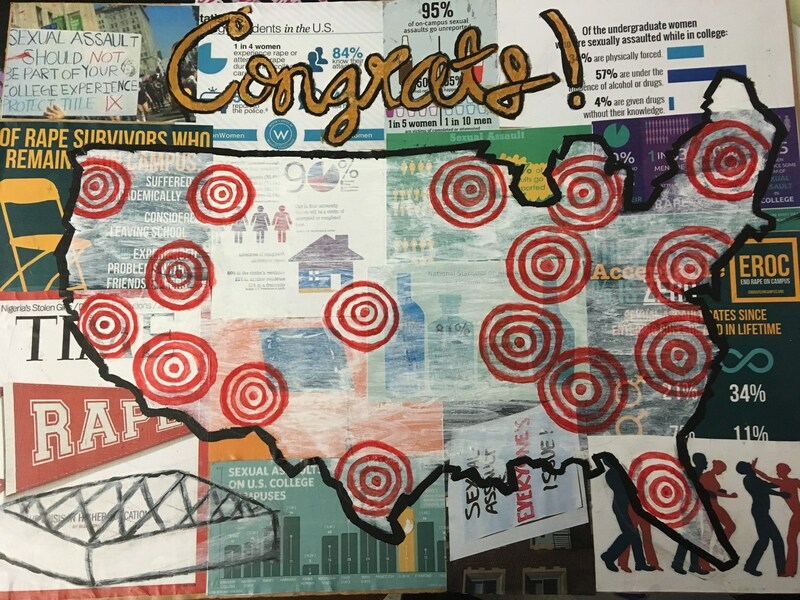 The following pieces of art are the outcomes of students’ ability to examine, analyze and produce differing narratives that ultimately ask us as viewers to reflect observe, and engaged in dialogue about our understanding and perspectives of such topics. In all three examples, students apply their lived experiences, opinions, and analysis to issues that are impacting their community and world. In this act of knowledge production, students are able to see themselves as legitimate knowledge producers challenging and engaging in current day debates. 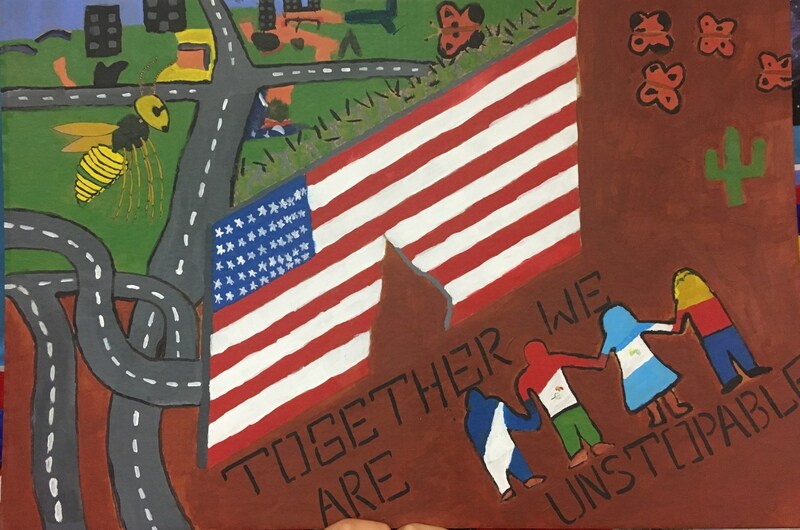 When we combine tools of action (in this case visual art) with Ethnic Studies frameworks of critical reflection and analysis, we are more likely to facilitate students agency and confidence to engage their world. 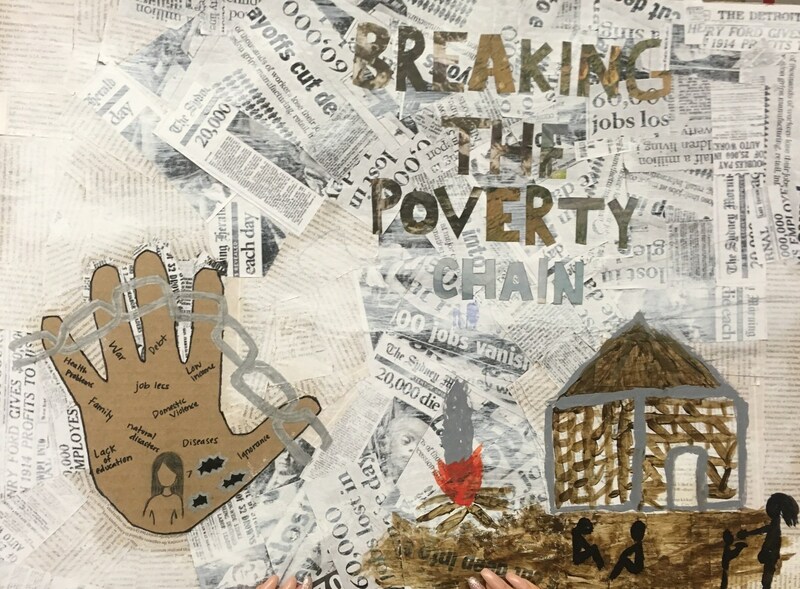 In an effort to let the school community engage in debate about these important topics, the work of all three Integrated Art classes will be on display at the Miramar campus from April to May 2018.